Does Your Pet Have What It Takes To Be a Hero? Home • Blood Bank • Can My Pet Be a Blood Donor? 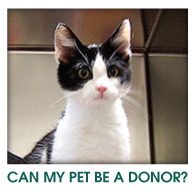 Jefferson Animal Hospital is currently looking for donors to add to our life saving team! The screening process begins with a temperament evaluation. Dogs are never forced to donate, so only those that are comfortable with minimal restraint are considered. 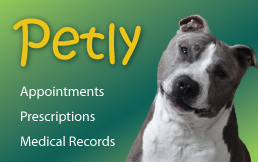 Next we will take a small sample of your pet’s blood to check for blood type. 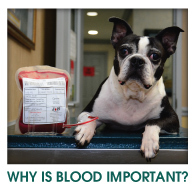 We can determine the blood type for cats while dogs can only be tested for the DEA1 blood type in our office. Our staff with discuss these results with you and if your pets blood type is currently in need, we will proceed with further testing. 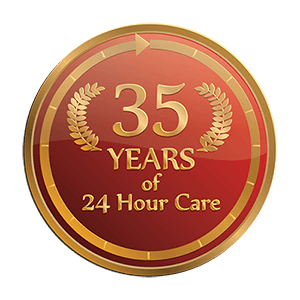 This includes a comprehensive blood panel, CBC, blood typing panel (dogs), an infectious disease panel and physical exam with a doctor, all at no cost to you with a value of $400. If you are interested in joining our program please contact us to schedule an appointment with a member of our blood bank team! Jefferson Animal Hospital is grateful to all of our donors and their dedicated owners. 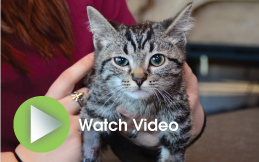 Eligible pets that enter into our program will receive some special benefits from us. We know that your time is valuable and we appreciate our donor families for their commitment to saving lives. Free blood products equal to the volume donated if your pet is ever in need!